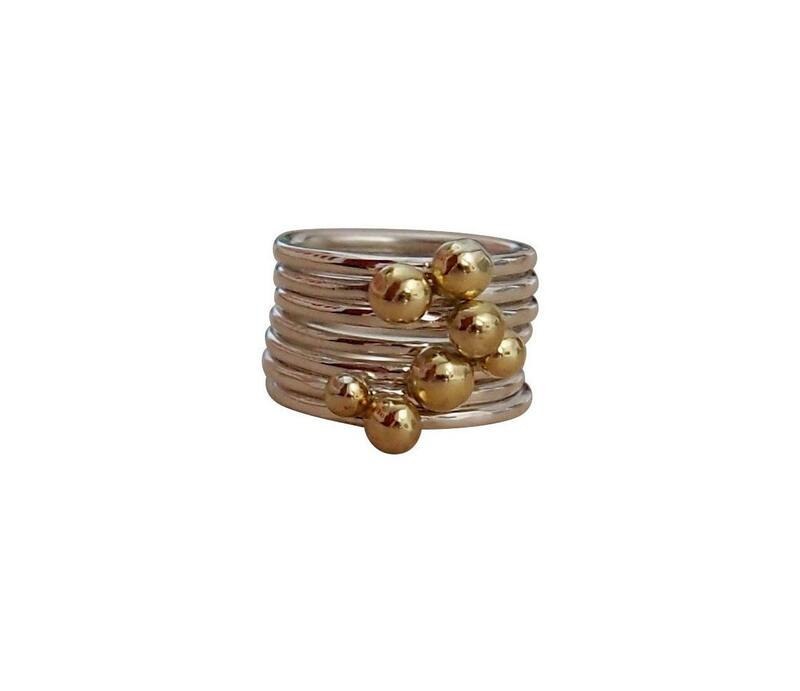 Large silver ring with bronze dots that consists out of seven separate stackable ring. The rings can be worn in many different combinations, all together or separately, creating many different variantions of the same ring. This ring can be made in all sizes, so just send me the size you wish to receive it in the "message to seller" and I will make one for you.If you don't know your ringsize, just wrap a string around your finger, find the length of string that wraps around your finger exactly one time and send me the circumference. 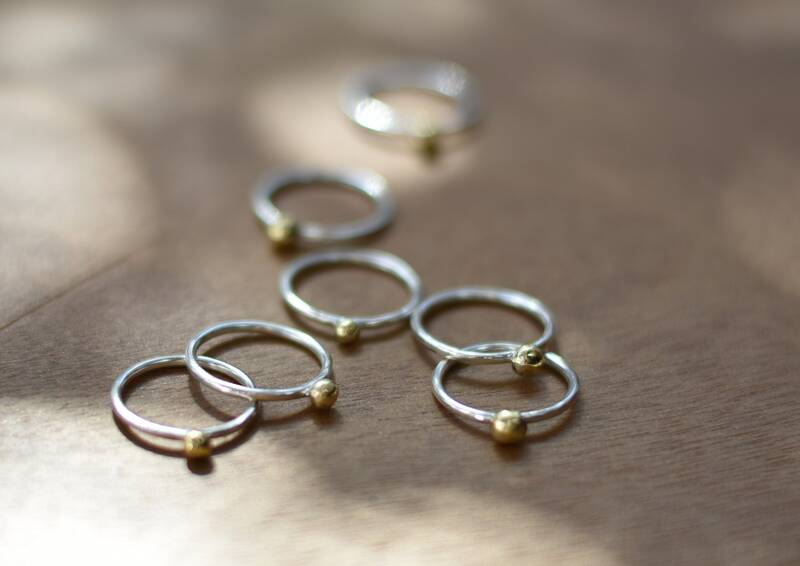 This is a made to order, so I will start making a new pair of rings for you as soon as I get your order. Please allow one to two weeks before shipment. Please keep in mind that every handmade item is unique and therefore minor differences may occur.